My name is Despoina Kairi. 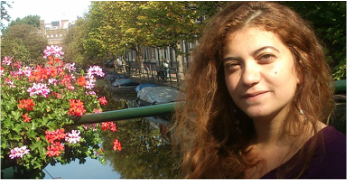 I was born in Athens, Greece and moved to the Netherlands in 2011 after having completed my BSc degree in Psychology at Panteion University. In the Netherlands, I completed the Master's program in Clinical Psychology at Leiden University. In 2014, I acquired a Certificate in Existential Life Coaching and Well-Being from KU Leuven University. Receiving continuing education and training is a crucial aspect of my professional development. Since 2015, I have completed the Level A of training for Emotion-Focused Therapy, (EFT-I and EFT-II) as well as the basic course on Client-Centered Psychotherapy (Basis Clientgerichte Psychotherapie, Apanta Academy). In 2018, I completed my first workshop in EMDR, namely "Introduction to EMDR and Traumatherapy" at the Institute of Trauma therapy in Athens, by Domna Ventouratou. Currently, I am undertaking the training of supervised EFT practice (Level B), towards the accreditation of EFT-therapist by International Society for Emotion-Focused Therapy (ISEFT) at Apanta Academy te Veldhoven. In the past, I worked with students as a counselor at Webster Counseling Center (WCC) while currently I have been collaborating as an adjunct faculty for the department of Social and Behavioral Sciences at Webster Leiden Campus - Webster University. At the moment, I am living in Amsterdam and working as a psychologist at my practice "InnerPiece Psychologie Praktijk", where I offer individual sessions for psychological support. My offices are in Vondelpark, Amsterdam and in Leiden (FrameOffices).